“Russia today finds itself in approximately the same situation as it did a century ago,” having seen “the destruction of its imperial ambitions, the exhaustion of its former economic model and the growth in the stratum of the population oriented toward the West,” Pavel Pryannikov writes in Tolkovatel. 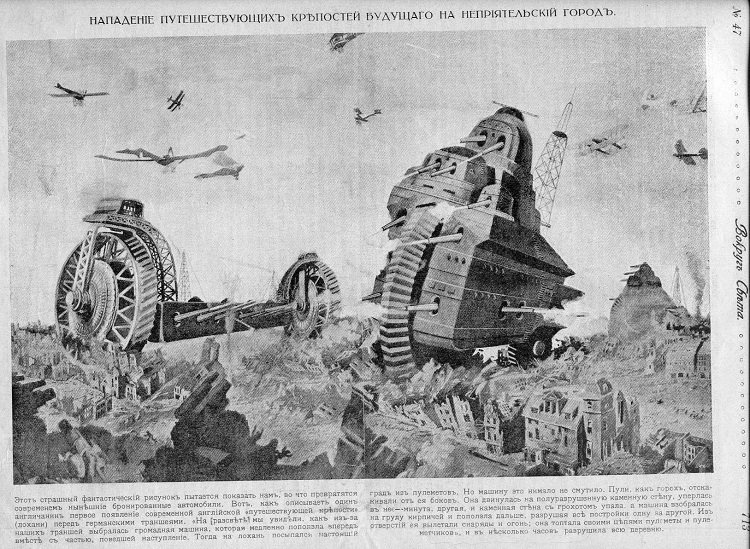 And thus it is perhaps not surprising that the ideas which animated both the utopias and the dystopias of the late imperial period should again be circulating in Russia, with the Kremlin stressing many of the ideas of the pre-1917 utopias and its critics emphasizing many of the ideas of their dystopian counterparts. Many felt then as many feel now that Russia was on the eve of a revolution, one that either would bring national redemption or national destruction. “Particularly pessimistic and eschatological views were held by right-wing conservatives,” especially after the tsar granted a constitution after the 1905 revolution and Witte and Stolypin carried out land reform. One of the reasons that this war will be especially good for Russia despite its initial defeats will be that it will be forced to develop its own industry in order to stand up to the rest of the world rather than be dependent on it for anything – yet another idea with echoes in the Moscow of today. Another tsarist writer with similar ideas was the historian D. Ilovaisky who argued in his anti-utopia that “the Achilles’ heel of the Russian Empire” was the influx of Western capital. That led to a collapse of morality and encouraged “’anti-state’ elements like the Jews, German colonists, and ‘rotten liberals’” – all memes present now. Ilovaisky added that the German-led coalition against Russia would lead to the empire’s “complete isolation” and that that alliance would encourage “’a fifth column’” in Poland and then Ukraine in order to weaken Russia. Japan would move in the Far East, and Russia would lose its periphery to others. And still a third of these writings, Pryannikov says, is A. Krasnitsky, “Beyond the Raised Veil.” In it, the author asserts that Russia is the only “tribe” in Europe that has not degenerated and that it will usher in a new world order by defeating the British Empire and linking up with Turkey. In Krasnitsky’s novel, the granddaughter of the tsar, a committed Christian, nonetheless married the Muslim Murad-Pasha, the leader of Turkey’s Reform Party. Russia helps him become chief of state and he agrees to shift the capital of his empire to Mecca, with Russia getting Constantinople and the straits. Another writer, F. Vitberg, in “Political Dreams of a Russian Patriot,” insists that the main enemy of Russia in the future will be the United States whose capitalism represents a threat to Russian civilization. The US will form an Atlantic military block, and Russia and Germany will form a continental European one. He like the other authors cited here viewed war not so much as a geopolitical issue but as having “an important symbolic dimension. They viewed war with Germany as an expression of the national self-consciousness of the Russian people which finally was able to throw off the foreign cultural yoke imposed on the country by [tsar] Peter” and end deference to the West. At the dawn of the 20th century, writers in many countries were coming up with utopias and dystopias, but Russia’s crop was unique not only in that it obsessed with the occupation and disintegration of the country, something “fewer than two percent” of American political fantasies at that time did, Pryannikov says. 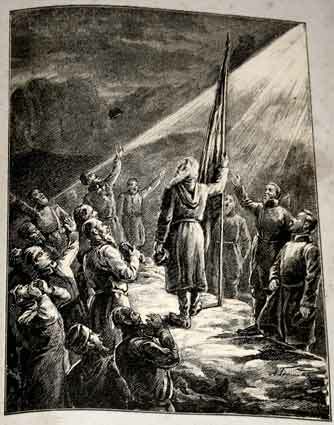 But more important, the issues which animated Russian apocalyptic writing then continue to define it now and to affect the views of the country’s elite, something that also sets Russia apart and makes attention to these long-ago and apparently-forgotten writers more important than would otherwise be the case. Understanding the Ukrainians in WWII Part 3. Of German plans and German collaborators.